Written by Aviva Pinchas on November 9, 2017 Blog, WooCommerce Marketplace. When WooCommerce launched in 2011, we launched something alongside it: an online marketplace where builders could buy extensions to customize their stores. Over the years, the WooCommerce Marketplace grew from the original nine extensions to nearly 400 products, and from a few developers to nearly 40 companies actively creating, updating, and supporting extensions. For the past few years, the WooCommerce Marketplace has been closed to new submissions and new developers. While the WooCommerce user base grew to 3 million active installs, the options available to store builders through our official marketplace stayed stagnant. Now, we’re changing all of that and opening the doors to the WooCommerce Marketplace again in early 2018. UPDATED: The WooCommerce Marketplace is now open! Created a developer account to submit your extensions and start selling on the official marketplace. While you wait — and because the best extensions are built for real customers — we’ve put together some insights to help you get ready to build your next extension. Of the customers purchasing on WooCommerce.com, 84% say they’re building a store for themselves (WooCommerce.com data). WooCommerce stores run the full gamut from All Blacks (merchandise for New Zealand’s rugby team) to Zoobug (eyewear for kids in the UK) and Adoboloco (a family-owned hot sauce business) to Zula Juice (cold-pressed juice). Fashion and apparel is the most popular industry on WooCommerce.com, but there’s a ton of variation. WooCommerce customers come from every industry. Data via WooCommerce.com. They’re also varied by location. Users of WooCommerce and visitors to WooCommerce.com are from all over the world, with relatively similar contingencies in Europe, Asia and North America. WooCommerce users come from all over the world. Data via WooCommerce Tracker. This wide range of store builders are looking to create truly unique experiences. When we build WooCommerce, we’re often optimizing for the most typical eCommerce experience – selling physical goods through a one-time payment. However, most WooCommerce Marketplace customers are looking to add something beyond the typical eCommerce experience: 86% of customers are looking to sell something other than physical goods and 66% are looking to take payments in another way (Data via WooCommerce.com). Extensions are the tools that allow store builders to deliver these types of experiences. On average, a Woo store has 15 other plugins installed, and of these, 6 are specific to WooCommerce (Data via WooCommerce Tracker). Payments and Shipping are the most common example of extensions. Of the nine original extensions offered on the Marketplace, six were payment gateways. For example, because the WooCommerce team came from South Africa, one of the first extensions was PayFast. PayFast is a popular payments option in South Africa, and offering it early on helped WooCommerce grow in that country. The same trend holds for other payment and shipping options – they’ve been critical to the global growth of WooCommerce. Payments and Shipping are not where we see gaps in the WooCommerce Marketplace today. These categories actually make up more than half of the available extensions. To get a sense of the kinds of extensions builders are looking for today, we looked at the top 100 extensions installed on Woo stores, the revenue coming through the Marketplace today and the combination of those factors. Of those top 100 extensions, there are 34 Enhancement extensions – those that modify the product page, category page, checkout or other parts of a store. They make up 41% of installs, meaning they are both the most common type of extension in our top 100 list and the most used type of extension. Enhancement categories drive the most installs. Data from the WooCommerce Tracker. That makes sense when you think about the broad range of stores that builders are trying to create. With complicated, unique, atypical and niche setups, builders need to customize the standard parts of a store to meet their needs. Successful extensions in this category understand what builders are looking to customize and provide solutions. For example, WooCommerce shows variations in a drop down. Lucas Stark, one of the developers selling on the WooCommerce Marketplace, realized that clothing stores would need a more visual option where customers could see what variations looked like. He developed the Variation Swatches and Photos extension to solve this specific problem: allowing clothing stores to display variation in a way that’s appropriate for their industry. Using Variation Swatches and Photos, store builders can show a visual representation of variations offered. Inspiration can also come from actual clients you’re working with. In the early days of WooCommerce theming, Kathy Darling was working with a pastor in Australia who wanted to sell his books online and let people pay whatever they wanted. He asked Kathy if WooCommerce could do that. Kathy did some research and had a solution in mind. She jumped into the WooCommerce GitHub to ask the development team a few questions. Then someone else chimed in to say that if I built it, they would buy a copy, so now I had 2 people confirming they needed this feature. With two potential customers lined up, Kathy built Name Your Price. Kathy and Lucas both understood a problem facing store builders, created a solution through an extension and are now helping builders create more custom experience with those extensions. Another way to judge what builders want is what they’re willing to spend money on. When we looked at WooCommerce Marketplace revenue by the same categories, we found that Product Type extensions, things like Subscriptions, Memberships and Bookings, that define the sort of store they’re building. Product Type extensions drive more revenue than other categories. Data from Automattic. Product Type extensions generate, on average, 35% more revenue per month than other categories. In the same way these types of extensions define a store, they’re often keystone products for the developers working on them. At the same time, these types of extension also require the most product development – consistent new features and compatibility with a wide array of other extensions are critical, so Product Type extensions can be difficult to maintain in the long run. An extension that does this right is Product Bundles, from Manos Psychogyiopoulos at Somewhere Warm. To track inventory for Lab, AtmiZone co-founder Manos Psychogyiopoulos created the Product Bundles extension. Before becoming a WooCommerce developer, Manos co-founded a company called AtmiZone, that makes custom vaping components. Lab, one of their products, is created from a set of parts. Because each part was made separately, Manos wasn’t sure how many complete Labs would come out, and needed to track inventory for each part separately and then automatically calculate how many Labs were available. So Manos created Product Bundles to solve a problem in his own business – tracking inventory for individual parts while selling the complete product. Today, it’s what we use to sell bundles on the Woo Marketplace. The WooMembers Bundle is sold using Product Bundles. Since builders are creating such complex experience with WooCommerce, we found that often one extension wasn’t enough to fully solve a particular problem. Builders were purchasing a slate of extensions to cover a really complex use case. When we dug into the data, we found a few groupings of extensions that builders commonly bought together. To make it easier to find these complete solutions, we are now rolling them out as bundles. By solving a problem in his own business and then turning that solution into an extension, Manos made a complex feature accessible to the broader Woo community, including WooCommerce.com. While Payments and Shipping extensions are critical to start a store, Store Management and Marketing are critical to a store succeeding. Never Settle, a digital agency working with WordPress and WooCommerce, saw this first hand with Osana, a natural mosquito repellent soap company that Never Settle also runs. The effort was going well and Never Settle needed to scale their fulfilment operations. To do that, they chose Fulfillment by Amazon, which lets store owners store products in Amazon’s fulfillment centers, and Amazon will pick, pack, ship, and provide customer service for those products. There was just one problem: there wasn’t a solution to integrate Fulfillment By Amazon with WooCommerce. Never Settle did more research, and saw it was one of the most-requested ideas on the WooCommerce Ideas board. So, they built their own, and we launched the Fulfillment by Amazon extension in August. 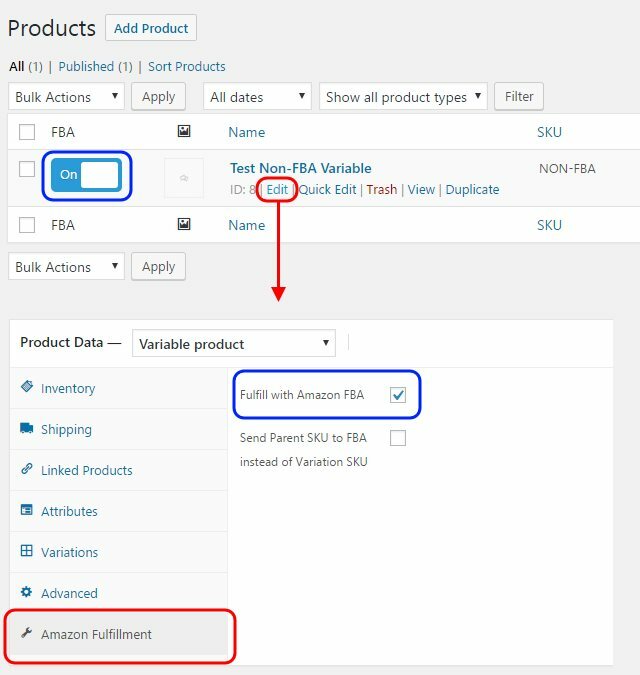 Fulfillment by Amazon from Never Settle is our first new extension from a new developer. We know that these categories are where there’s the most space for growth – we currently only sell two Point of Sale extensions and only a handful of Accounting solutions. That’s why most of our new extensions over the past year, like Square, Facebook and MailChimp, have been in this category, and we’re looking forward to seeing more solutions like this. While WooCommerce users are all over the world, and we have a lot of solutions in Payments and Shipping, local developers are often better positioned to solve problems for their communities, and there are some areas we know we could serve better. For example, Brazil. Like most countries, Brazil has unique payment and shipping solutions that local merchants need to be able to offer. But Brazil also has a unique format for address fields, that breaks may checkout forms. Enter: Claudio Sanchez, a developer on the core team and a Brazilian. Because he’s from Brazil, he had a special understanding of what Brazilians needed to succeed in eCommerce. Thanks to Claudio, Brazilians have more options for WooCommerce. So, Claudio built three payment gateways, a shipping integration and an enhancement extension – all to serve the needs of Brazilians. We’re hoping other developers will follow Claudio’s lead and create solutions for the problems they see merchants in their local communities are facing. Of the top 100 Woo extensions, 72% of installs for paid extensions come from the official marketplace. The majority of paid extension installs come from the WooCommerce Marketplace. Builders consistently tell us that they chose the official WooCommerce Marketplace for one reason: trust. We prefer extensions that are on the WooCommerce Marketplace – if WooCommerce has vetted it, we’d rather purchase it from there. To maintain that trust, we’ll be taking all extension submissions through a careful review process. As of today, Marketplace Developers can submit new extensions. Our team will review each submission and carefully select what joins the official marketplace. We’ll also work with existing Developers to iterate on and improve the submission process. The WooCommerce Marketplace opens early 2018 – get ready! All of us at WooCommerce can’t wait to see what you build! If you have any questions, drop us a comment – and for even more detail on the WooCommerce Marketplace, watch the talk that inspired this post delivered at WooConf 2017. The WooCommerce Marketplace is now open! Sign-up to submit your extensions. Great news. This is indeed going to be a great opportunity. I need or there should be a plugin that could rip products from aliexpress down to my store at http://hiphopmusics.co..am finding it very difficult to post products manually there…I wish it could be put into consideration.